The PA may place Obama in a tight spot and ask the UN Security Council to condemn Israel if it legalizes three "settlements." The Palestinian Authority may seize Israel’s intention to legalize three Jewish towns in Samaria and ask the United Nations Security Council for a condemnation. 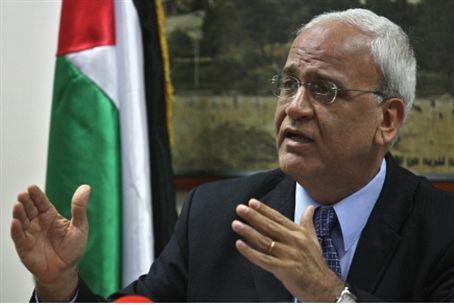 The PA’s official WAFA website reported Wednesday that Palestine Liberation Organization (PLO) Executive Committee member Saeb Erekat mentioned the possibility of going to the Council. The Palestinian Authority’s ploy last year of trying to get the Council to recognize it as an independent country based on its own definition of borders without negotiations with Israel, failed. The PA also has refused to recognize Israel as a Jewish state. The United States threatened to cast a veto if the PA Chairman Mahmoud Abbas managed to win the necessary two-thirds majority for the motion to be approved by the General Assembly, where the PA is assured of a majority. Abbas dropped the move when he realized he was one vote short. However, the Obama administration would be placed in a tight corner if Abbas goes back to the Council with a motion to condemn Israel if it goes through with its intention to place a legal stamp of approval on three more communities in Judea and Samaria. The Obama administration has overturned previous American policies and has stated that Israel has no legitimate right to any Jewish presence in Judea and Samaria and areas in Jerusalem claimed by the Palestinian Authority. However, it has said it would approve a “land swap” whereby Israel would give up other land in return for retaining major Jewish population centers, such as the cities of Maaleh Adumim and Beitar Illit and the communities in Gush Etzion, less than five miles south of Jerusalem.